My lovely laptop is broken and I have been without Internet shopping, social networking and gossip for weeks! My brother has kindly allowed me to use his computer so I am going to make a good stab at making this blog a regular thing. 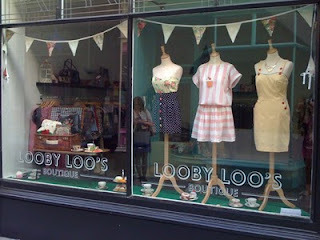 This little post is going to be about a great shop I found in Cardiff called Looby Loo's Boutique. 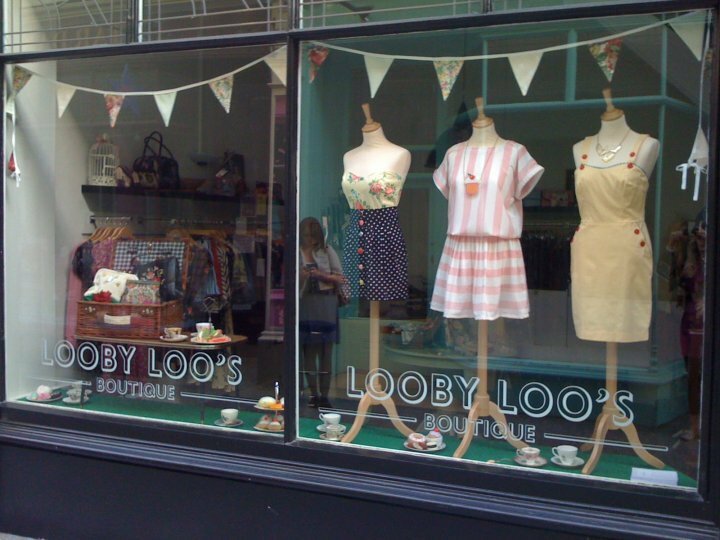 Looby Loo's is a wonderful shop which has been open for a few months now it is owned by Lowri Grove and her mother.It specialises in original clothing, vintage and accessories from independent labels. I worked with Lowri in Topshop and the concession Kooki Two Bit which is located downstairs in Looby Loo's is run by a another ex-Topshop workmate of mine Hana Crisiant. The very stylish Florence Welch of Florence and the Machine fame has recently been spotted at the Isle of Wight Festival sporting a Looby Loo's bag. You can find it at 16 High St Arcade, Cardiff, CF10 1BB close to Hobo's and the New York Deli. The shop is definitely worth a visit and offers something a bit different and unique from the usual high street chains. The shop has just launched its new website http://www.loobyloos.co.uk/ so and check it out!